The Kinderdance Programs are only as good as the teachers. Fortunately, we have great ones. 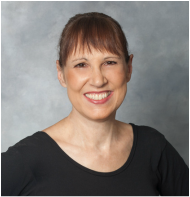 Carol is the owner of Kinderdance® Manhattan and the Bronx, and has been teaching Kinderdance® programs for over 18 years in many schools throughout Manhattan. Besides running the Kinderdance® business, she gives movement workshops for pre-school teachers. Carol has received numerous awards from Kinderdance® International. She was named Rookie of the Year in 1997, Franchisee of the Year twice, in 1999 and 2012, and has been Franchisee of the Month 3 times. She has been on the faculty at Westside Montessori School since 2000. Her two sons have aged from 2 to 20 years old during Carol's Kinderdance® career, and she is grateful that young children are always a part of her life through Kinderdance®. Laura has been teaching Kinderdance® programs for over 10 years! She has a Bachelor of Fine Arts in Dance from The Boston Conservatory and spent 5 years dancing with the Ballet Theater of Boston. After moving to New York, she received her Masters in Choreography from Sarah Lawrence. Laura has taught dance and gymnastics to all ages, 12 months old to adults. Feedback from all her schools is consistently excellent. 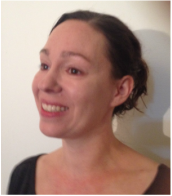 Melissa has taught Kinderdance® for 6 years in 2 boroughs: 3 years in Brooklyn and 3 years in Manhattan. She has her BFA in Dance from SUNY Purchase, an MS in Dance Science from Trinity Laban, and an MFA from NYU. One of her references said "Melissa is everybody's favorite teacher"
Ruth has been teaching dance and gymnastics to all ages for the last 6 years, but her favorites are 2-5 year olds. After receiving her BFA in dance from North Carolina University, Ruth came to New York City to perform modern dance along with acting and comedy. Ruth starts her fifth year with Kinderdance® and Kindergym® this fall, and is a beloved teacher at schools throughout Manhattan. Michelle grew up assisting her mother with children's parties, and went on to teach dance and gymnastics to ages 2 -18 at various venues for over 7 years. 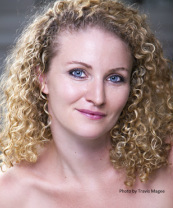 She earned her BFA from Columbia College in Dance, with a concentration in teaching and performance. Michelle starts her second year teaching Kinderdance® this fall, all her schools are happy to have her return. Viola earned her BA in Physical Education and Sports in Tirana, Albania, where she coached a gymnastics team of 3-10 year old girls who went on to place in national competitions. After moving to New York, she taught movement/gymnastics classes to 8 month to 6 year olds. Viola has been teaching Kindergym®/Kindertots® classes for the past 3 years, her patience and expertise has been particularly helpful in working with special needs children. Diane received her BFA in Dance from Kent State University, and moved to New York to pursue a modern dance and teaching career. She taught creative movement, dance to ages 18 months to 12 years old. Diane is pleased to start her third year teaching Kinderdance® programs at schools throughout Manhattan. Her calm demeanor and patience are an enormous asset in working with young children. Stephanie recently completed her BA in Dance at Lehman College. A Bronx native, Stephanie has been teaching dance and gymnastics for over seven years to ages 2 to adult. Her primary reference said "Stephanie is a great teacher, you would be lucky to have her" and Kinderdance® schools agree. She starts her third year teaching Kinderdance® classes as we expand into the Bronx.